Hey guys, some sad news about the Bandai Evolution keychain GA - We lost. =( Someone using the same deputy outbid us, meaning they got it for quite a bit under what we raised too. I increased my bid limit to way over what we raised and tried my best, but to no avail =(. Sorry, everyone! Maybe next time! I'll be keeping a look out for another auction like this! On a lighter note, to make this post less boring and sadface, I obtained a collection grail today! I've been searching for once since before I joined the community. I first saw it on ebay, then I started to see it in people's collections. 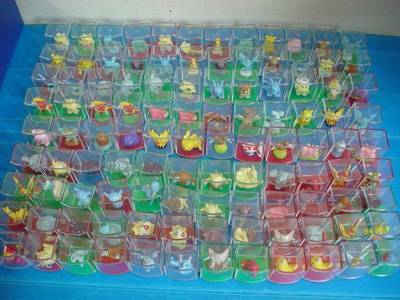 It was never worth as much as most people's grails, it was more about the difficulty finding one. After over-sleeping and missing the end of an auction for one, then missing a BIN one by seconds on the comm, I started looking on Y!Japan. Never showed up. Then it popped up on ebay! Well, I bid more than any of the previous ones sold for - and won! Banpresto 1998 Christmas Plush Clefairy Doll! kids news and candy news! There is a new Candy Collection coming in November. For those that don't know, this is the new Chupa Chups figures. They just replaced lollipops with candy and changed the name. Pretty nice set if you ask me! There is also a new kids set in December! Starring... not ONE SINGLE BLACK/WHITE POKEMON! However if the October set is anything to go buy, most of these will NOT be new. I wonder which ones will be? I know which ones I am hoping for. 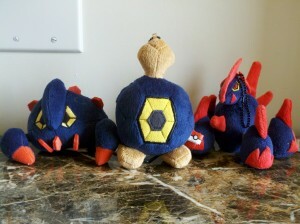 Now, time to get everyone's mini pokedolls out! I know I am in love with how Pachirisu looks with my others! Do not forget to get your Tea Kettle and Litwick lamp requests in by TOMORROW! 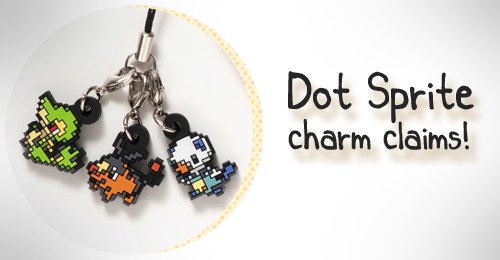 And Dot Sprite charms will be closing soon too! Updated my sales with Lugia Sleeves. I have some Plasma Gale extra cards, so if you're looking for any common or uncommons, hit me up. they'll be 50 cents each. I also have one extra Colress, along witha Skarmory promo. Willing to try working trades also! So a while ago my mom told me I had gotten a few packages..over a week before she actually told me..
Amazing in-case GA payment 1 due! Just a quick entry for the participants of me and saberalter's in-case figure GA, the invoice is in and payment 1 is due! I have some questions about lenticular cards. 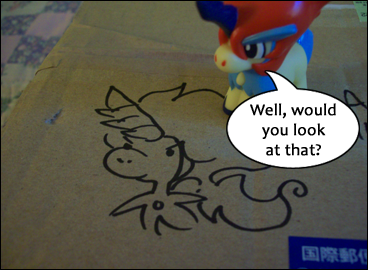 I also have an Absol one, but I didn't take photos of it. I have no idea where I got them from. I'm thinking they were a freebie in something I bought here. I tried to find out more information about the cards and was able to find this list - http://bulbapedia.bulbagarden.net/wiki/Pok%C3%A9mon_Advanced_Action_Cards I wasn't able to find any other pictures of them or individual cards for sale (just packs). 2) Did Houndour/Houndoom ever get a flip card? I was thinking they might have been part of this set - http://bulbapedia.bulbagarden.net/wiki/Pok%C3%A9mon_Advanced_Action_Flipz but I couldn't find a complete checklist anywhere. firstly I was wondering if any members in the UK has ever has a EMS item be passed onto parcelforce (urgh!) and been charged at customs?, I cant find any information as to if and/or how much I will be charged. The item in question is a super duper grail so I was to get my hands on the dear as soon possible. It's pretty large and heavy by the way. secondly is there a place I can see what TCG cards are available of a particular pokemon? I am thinking of collecting some Mew cards and would like to know what's out there. And finally how are those of you in rented houses displaying your plush and figures? please click the cut for my current display and see my first ever attempt at making a plush! 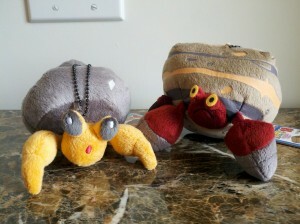 There are less than 24 hours left on my 3 Rare Plush offers, please look before they are gone! Also, as a heads up, my order of 1 complete set of Banpresto Halloween plush is on its way and I'll be selling the extras in a week or two! Collection update: An exciting get! I have been meaning to do an update for months, though it seems that I never found the right opportunity since I was forever waiting for things to arrive. 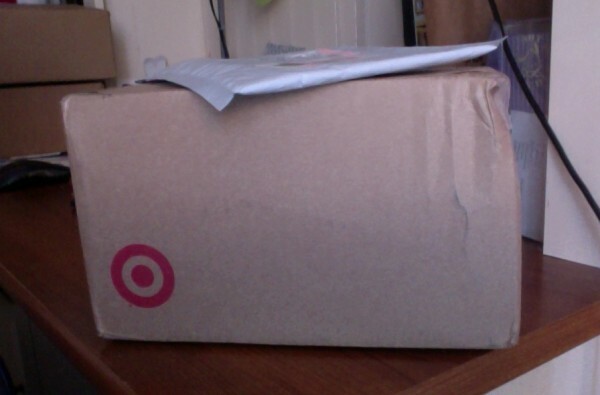 Today I received a very special parcel which brought me to buckle down and finally post an update! I found the need for a photo-story this time; therefore, please bear with me with the ridiculously long post! Thank you so much for looking! I hope you are all having a fine day! Gosh, I haven't been on in like 3 weeks and my life has felt so empty. First semester of college has really kept me from the computer. All that studying. x_x But I passed both of my exams so now I can finally take a break. 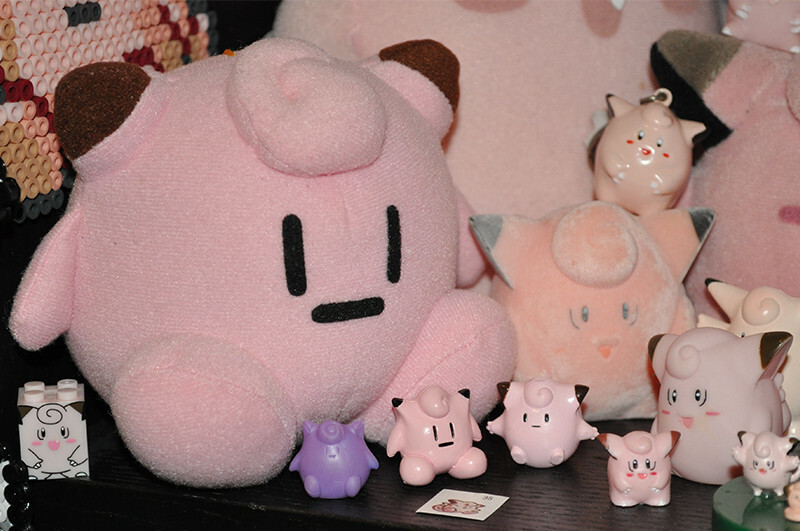 ;w; I'll have a collection post later, but right now a small sales post including a Sceptile Pokedoll and more. My favorite Pokemon is Houndoom, and I tend to favor dark types over other pokemon in general.